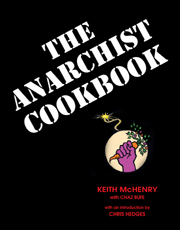 In the new Anarchist Cookbook (2015), we considered various means to social change, recommending some and criticizing others, among them “simple living.” We noted its inadequacy as a primary approach to change, but also noted that both of us follow many “simple living” practices simply because they make sense. A few days ago we received the following from Tammy Mackenzie, of the Print Our Home blog, which advocates simple living and has a large amount of material on various aspects of the subject. Her comments are presented here in their entirety. Thank you for your excellent cookbook. I humbly submit that your section “Simple Living”, page 48, is partially incorrect, and needlessly divisive. Here is a short essay to make the point and case, 800 words which include 17 primary and/or respected sources for reference. I hope that it can be of service. Simple living is a process of making conscious choices about day to day life that are more ecological (2: Science Daily), more economical (3: Mother Earth News), and healthier (4: Johns Hopkins). It is also adopted specifically by many people (5: Research Gate) as a way to reduce reliance on and destabilize consumerist / capitalist systems (6: Sagepub Journals). It’s called “simple”, because it happens that many healthy and affordable things are simpler than their mass-produced counterparts. Like vinegar for cleaning, or growing your own tomatoes instead of trucking them across continents. However, after acknowledging some of the very good reasons for making such choices, including large-scale stakes such as the fossil fuel industry and food additive subsidies, the conclusions of your book’s section on simple living are then incomplete, and partially incorrect, in 3 ways. “Simple Living” is not a day-and-night drastic and expensive lifestyle change as your section concludes. For most people it is a series of incremental changes (7: Wikihow) towards better ways that save them time, money, and stress. In fact, the “average” person who looks into Simple Living practices (8: Research Gate) is something like an enlightened soccer mom. Here are some demographics (6: Sagepub Journals). They’re family-minded: 68% of them are married, 64% have children. In the literature, it is mostly women who report. 83% grow some food, only 21% are vegetarian or vegan. They’re socially active: 67% are involved in community groups, 38% in barter or exchange groups, 90% want more political action on issues of pertinence to living simply. They’re from all economic classes, with about 70% reducing their income as they go along. 87% of them are happier because of voluntary simplicity and, in western countries, some measure of simplifiying can be seen in 20% to 30% of the population, depending on the country. Grows local economies: People in the habit of thinking in detail about how to improve little things tend to congregate into groups to share resources, think about bigger things, and start creating flexible local economies as well as food autonomy. Maker culture (9: Techshop) is an example of voluntary simplicity aggregating at mass scales. Increases personal freedoms: Old (10: Yes Magazine) and new (11: Taylor & Francis Online) ways of doing things without mass-production are retained, and promoted, decreasing the population’s reliance on capitalist growth/waste cycles as well as on markets. It also saves people money (6: Sagepub Journals). Inspires activism: Studies show that people get happier as they decrease their consumption of disposable goods and increase simplicity in daily life (6: Sagepub Journals). Further studies show that happy people are more likely to affect social change (12: Ideas.Repec.org). Anyhow, that’s how it’s working in Canada (13: Carleton University). Involves the whole population: Some people are left out (14: Notre Dame University) of many of the ways in which social change can be inspired. These include young families, seniors, and handicapped persons. Simple living, by virtue of being accessible to all as well as its other advantages, makes it possible to mobilize a lot more of the 3.5% of the population (15: Rational Insurgence) we look to for social power. Teaches people to think rationally: It is a rewarding way for people from all economic and social classes to learn how to research, critically analyze, test, and repeat experiments. Such skills are fundamental to learning to understand the current political and ecological situation. Intersectionality and respect are vital to social change. The authorities and media have worked hard (16: Huffington Post, 17: Forbes) to make adherents of living simply look like cultish, dogmatic flower children. 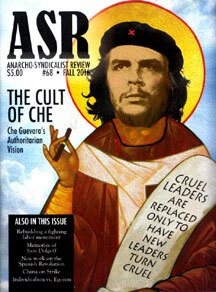 Consequently, even in anarchist and social change publications, derision is common and the strengths of simple living in educating people, helping to create community, and inspiring the autonomy that gives people courage to move are often overlooked. Your book is truly a masterpiece, and will have an influence on humanity for a long time. I am concerned that the chapter on Simple Living as written risks being counter-productive to our shared social hopes, but am personally grateful for the many tools you have assembled for us. You will then have two hours to put your manifesto into publishable form. Supply your own tools. Preferred typesetting equipment: dot-matrix printer or old manual typewriter (extra points for worn ribbons, broken or filled-in characters, handwritten corrections). The longest, most unreadable entry wins. The triumphant manifesto will then be copied on a 25-year-old xerox machine which hasn’t been cleaned since 2002, bound with a staple in one corner, and distributed to contest participants. Losers will face the moral imperative of reading it. Those who refuse will be unmasked as objectively counterrevolutionary petit bourgeois anarchists and will face the revolutionary justice of the people’s democratic dictatorship.